The universe shifts and changes: suddenly you understand, you get it, and are filled with wonder. 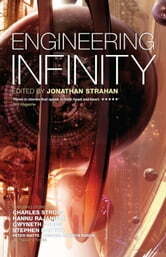 That moment of understanding drives the greatest science-fiction stories and lies at the heart of Engineering Infinity. Whether it’s coming up hard against the speed of light and, with it, the enormity of the universe realising that terraforming a distant world is harder and more dangerous than you’d ever thought, or simply realizing that a hitchhiker on a starship consumes fuel and oxygen with tragic results, it’s hard science-fiction where a sense of discovery is most often found and where science-fiction’s true heart lies. 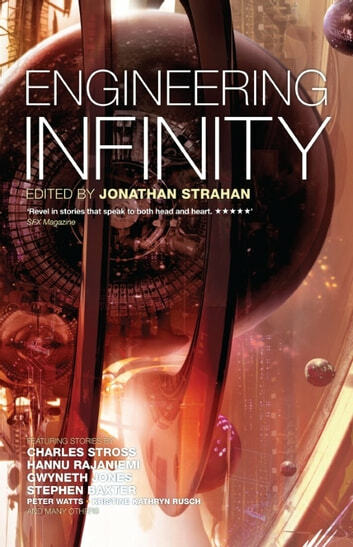 This exciting and innovative science-fiction anthology collects together stories by some of the biggest names in the field, including Gwyneth Jones, Stephen Baxter and Charles Stross. A great collection of stories.